According to the Times account, novels set against a backdrop of climate change are beginning to make their mark on the literary scene, with books such as The Windup Girl, by Paolo Bacigalupi and Flight Behavior by Barbara Kingsolver. Cli-fi novels and movies ”fit into a long tradition of speculative fiction that pictures the future after assorted catastrophes,” the Times reported. Post-apocalyptic science fiction isn’t new. But you may have noticed an uptick in books set in the wake of some kind of major climate disaster. Some call it “cli-fi” — sci-fi infused with the increasingly frightening impacts of climate change. The trope has deep roots, says science fiction scholar Istvan Csicery-Ronay, and plenty of room to grow. In fact, of late, cli-fi has been creeping out of the fantasy and science fiction sections of bookstores and libraries and into the mainstream. 'Cli-fi': could a literary genre help save the planet? 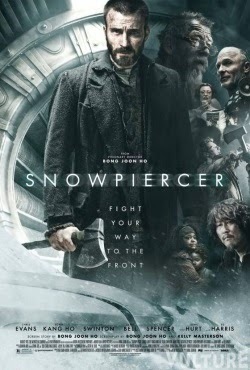 And I daresay the buzz around Bong Joon Ho's film SNOWPIERCER has been helping put cli-fi on the map as well. I'm glad to see a renewed interest in cli-fi stories and I'm definitely keen to read more SFRs where climate change is integral to the plot or strongly affects it. Ones that unsettle me, make me think, and prompt me to reflect on current environmental problems. A couple finding love in the midst of climatic chaos is appealing because it humanizes the catastrophe and provides hope. 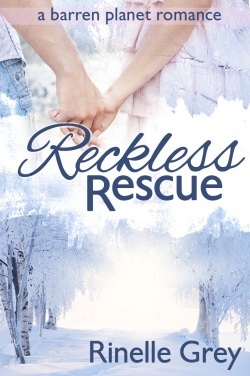 So what's an SFR fan to read if she's interested in cli-fi romance? A pressure beneath his hand made him laugh. Nobody bothered to ask permission for anything anymore. Not since the future crop—the edible, fast- growing and renewable Tasho Vine—had gotten out of control and covered the earth, and the experimental fungus Tasho Killer had eradicated nearly everything in its path. People fell to hunger and riots. Desperation sent those who could to the remaining pockets of civilization where a few food crops remained. It was amazing how infrastructure and technology didn’t mean much when there was nothing to eat. Amazing how a man would kill another for a sack of flour. Another cli-fi SFR title is my own ONCE UPON A TIME IN SPACE. Global warming and other environmental issues were front and center on my mind during the book's development. When the story begins, Earth is dying as a result of human-made environmental disasters. 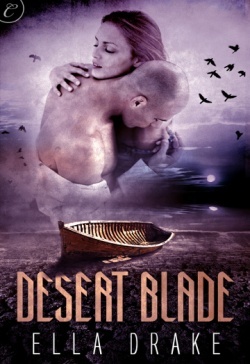 This drives the hero and heroine together for a two-part mission: Nick embarks on a journey to find a new world while Raquel hunts a villain who intends to betray humanity during its most vulnerable time. 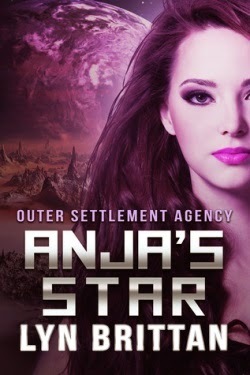 Most of the story in Rinelle Gray's RECKLESS RESCUE occurs on a planet with a gas so toxic the inhabitants are rendered infertile. While perhaps not a cli-fi setting per se (the gas occurs naturally IIRC), the absence of technology and treacherous living conditions gave me an impression of a colony in the grip of climatic danger. 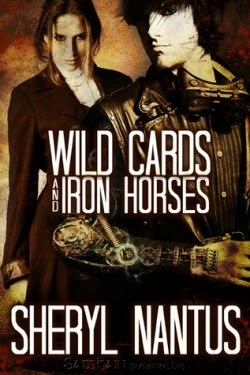 Sheryl Nantus' steampunk romance WILD CARDS AND IRON HORSES has a polluted American Old West. The pollution's role seemed more atmospheric than a driving plot force, but I appreciate the effort (the bigger reason to read this title is for the disabled, prosthetic-wearing hero). Road romance DRIVEN by Eve Kenin features an icy, "Northern Waste" setting, but unfortunately the worldbuilding details are a little too vague for me to definitively apply the cli-fi descriptor, unless I missed something. 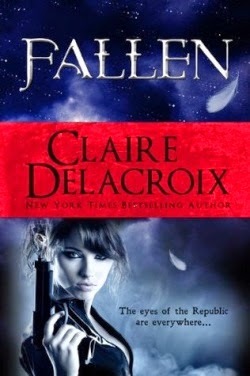 Claire Delacroix's FALLEN features radioactive wastelands and lots of detailed worldbuilding, but IMHO the story is more dystopian than cli-fi (not that there's anything wrong with that!). As for other cli-fi SFR, either I haven't read them or I'm drawing a blank. Hit me up if you're in the know about other relevant titles!